Get remote team members to interact as if they’re in the same room! Whether you’re videoconferencing with team members across the world or e-mailing a colleague sitting ten feet away, the truth is evident: technology has permanently altered the way we communicate. The virtual workplace can facilitate quicker decision making and reduced overhead. But the lack of face-to-face interaction can also impede trust, innovation, and creativity among team members. 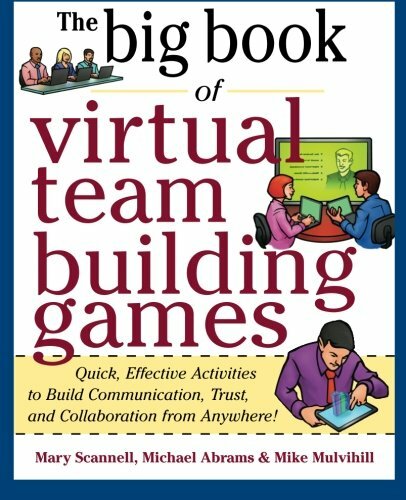 The Big Book of Virtual Team-Building Games is packed with games and activities for developing productive virtual teams across all digital platforms, including e-mail, mobile devices, web-based conferencing tools, and social media sites such as Facebook, Twitter, and Skype. Make sure that the only thing separating your people is distance. The Big Book of Virtual Team-Building Games is just the tool you need to develop trusting relationships, foster clear communication, and use technology to enhance the team’s connections.